As a manufacturer of an extensive range of exclusive products that are either manufactured by Elite or have been designed by Elite and made under license for Elite, we welcome requests to join our overseas distributor network supporting the Elite range or to just purchase one product for your own pool. Elite is an engineering/technology based company. We have only ever been interested in supplying the best and that is what we have done. 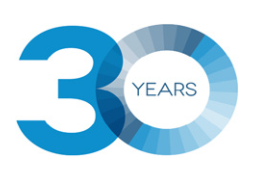 We have led the market with repeated innovations over the past 30 years. Elite welcomed the arrival of cheap Chinese products as they demonstrate forcibly to the market just how superior the performance of Elite products are. They have also enabled us to prove that the cost of ownership for Elite products is actually lower than the cheapest ticket-price competitor, due to our much longer life expectancy. Better performance and longer life deliver much better ROIs for users. our long-proven Thermal Shield, which is the best performing commercial grade technology cover on the market. Please send through any requests you might have and our Export Manager will contact you. “If you are wanting the best product in the world, and can sell on quality and not only on price, Elite Pool Covers products are for you"